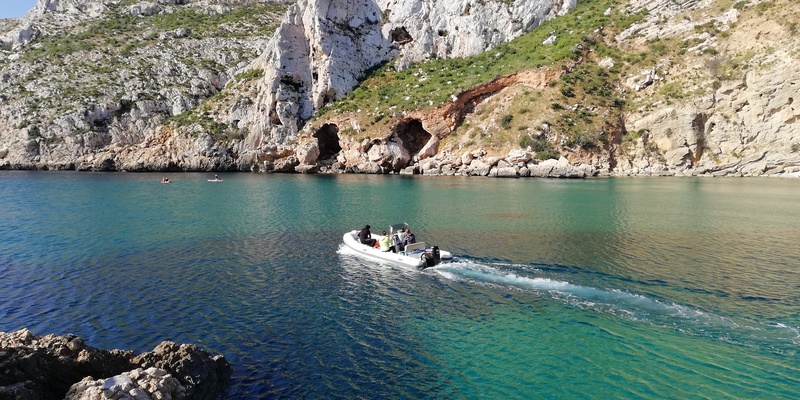 If you’re a fan of clear blue waters, you’ll absolutely love sailing and diving in these five spectacular coves in Costa Blanca and you’re bound to fall under their spell. These five turquoise water Mediterranean paradises are ideal for diving and relaxing while surrounded by nothing but nature. To get to these beautiful places, you can rent a boat (with or without skipper) or a catamaran. You can do a one day trip and visit just one of the coves or you can reserve a boat for a weekend and cover them all. 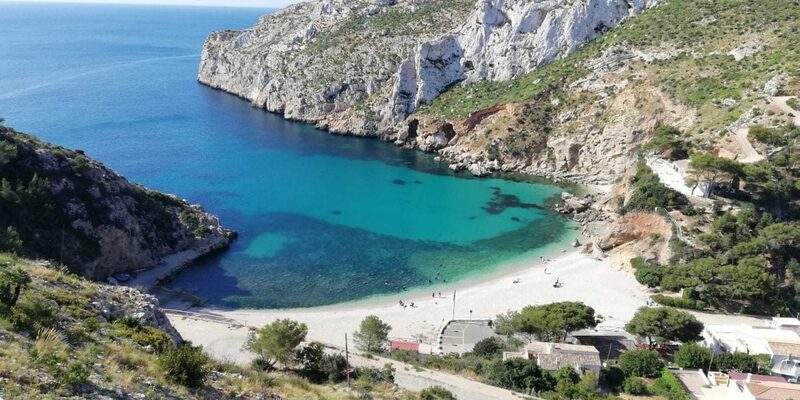 Now that summer is approaching, brace yourself for a memorable experience with your significant other, friends or family in these five wonderful coves found in Costa Blanca. 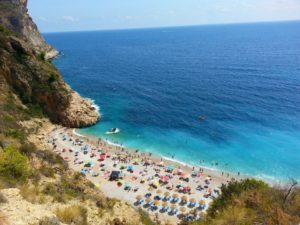 For many people, this is one of the most beautiful coves in Spain and undoubtedly one of the busiest during high season. 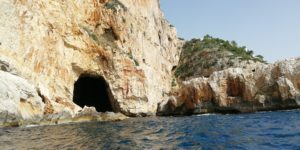 In Cala Granadella you can anchor easily outside the buoy barrier and explore its seabed while scuba diving or snorkeling. It’s also a great place for canoeing. Its stone beach is surrounded by two cliffs full of pine trees. It has a variety of facilities and has also been awarded the Blue Flag. Should you visit in the autumn or winter, don´t forget your wetsuit but no need to worry in the spring or summer for the water is perfect at any time of day. You’ll definitely want to come back! This cape, located among breathtaking cliffs, is the easternmost point in the province of Alicante. 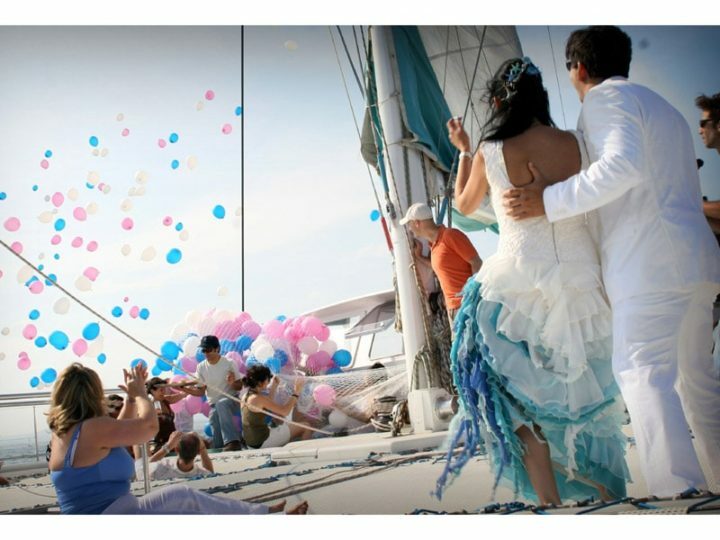 Its clear blue waters make it the ideal place to do a variety of water sports and activities. Its islets and flora are characteristic of Mediterranean coves: wild and with waters that have all the blues imaginable. 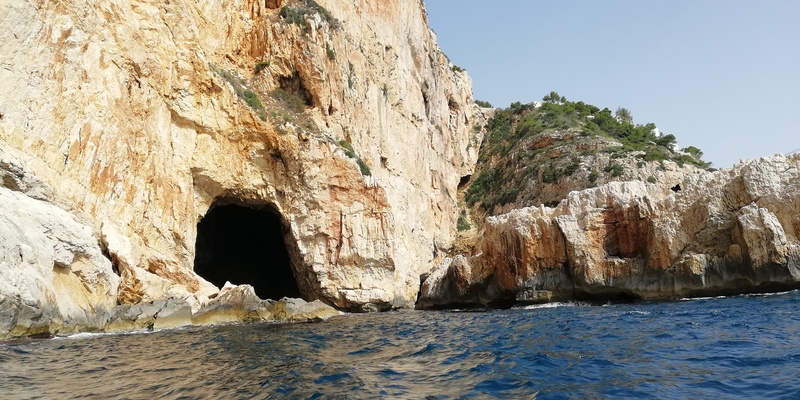 To visit the area, you can rent a boat equipped with a dinghy (oars or motor), allowing you to go ashore, walk along the coast and see their thousand year old caves. This wild and spacious cove welcomes its visitors with a blue landscape bathed in light and a clean, clear seabed. You can anchor in front of Isla Portitxol, famous for its archaeological and botanical treasures, and go kayaking along the coast. Snorkeling is a must in Cala Barraca, known for its clear waters and marine life. Its beach has a variety of facilities including a restaurant. Make sure to wear proper footwear as the area has a lot of rocks. To sail to Cala Granadella, Cala Barraca and Cabo de la Nao, we recommend you rent a boat in Jávea or a sail boat in Altea. Both locations are ideal to select a boat and set off to discover Costa Blanca. This small dreamlike cove is the perfect place to enjoy the views from its limestone cliffs and ideal for diving given that it has a spectacular seabed. You must go to Cueva de los Arcos, where fresh and salt water currents come together, resulting in water temperature changes. Don’t miss it! Anchor and relax. Nothing beats laying back on a sailboat or a luxury yacht in one of these peaceful coves found in Costa Blanca. Should you prefer to be on land, its stone beach has a variety of facilities and a restaurant. To get to this clear blue water haven surrounded by rocks and cliffs, rent a boat in El Campello and set sail to La Vila Joiosa, a small town a few nautical miles away from Alicante. La Caleta, also known as Cala Higuera, is a little hidden place perfect for diving if the sea is calm and ideal for relaxing as you listen to the sound of the waves on the shoreline. Its beach is marked with buoys and has all the necessary facilities for a memorable family outing. In Costa Blanca, from Dénia to Murcia (190 nautical miles), there are dozens of beautiful coves. Lovers of the coast and sailing are fascinated by them and there are certainly plenty to choose from! We want you to enjoy the warmth of the Mediterranean and all it has to offer: boat rentals, leisure activities, water sports and great cuisine.